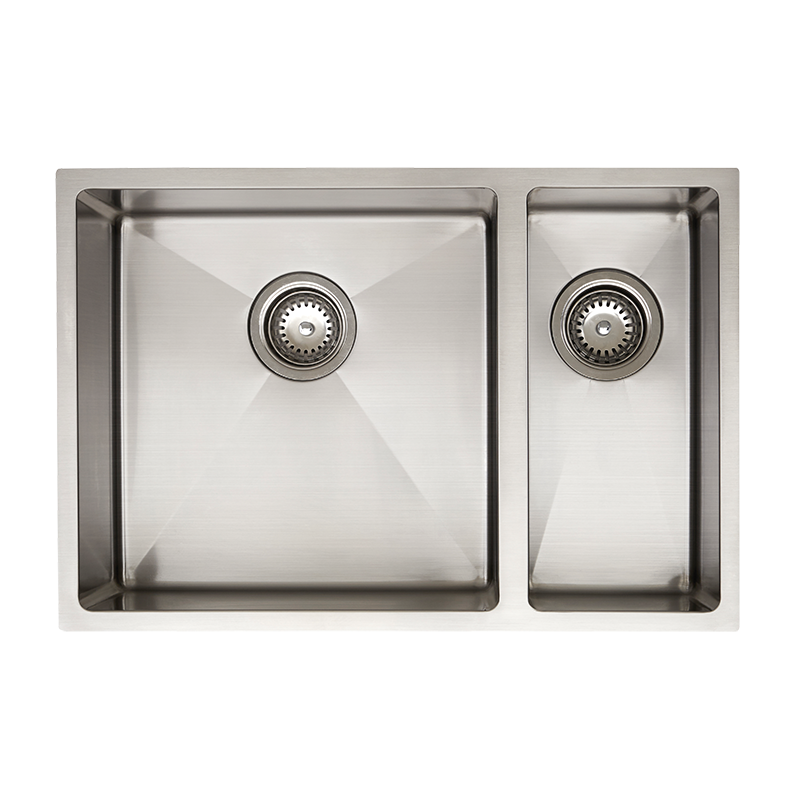 This deluxe handmade one and a quarter bowl sink can be installed as an undermount or as an inset sink. Inset installation removes the worry of chipping around the edge of the benchtop material while undermount installation gives a sleek appearance. The deep 190mm, 30 litre & 12 litre capacity bowls are ideal for washing pots, pans and tray and the 10mm radius corners making cleaning easier.